The Office of Mobility Management (OMM) strives to integrate our regional network of transit services to find ways that connect people to needed goods and services in our Central Texas area. The office is a collaboration between two transit agencies, Capital Metro and CARTS, with access to twenty-six community partners that are dedicated to meeting the transportation needs of senior adults, people with disabilities and veterans. As a result of these partnerships, The OMM has created a Transportation Services Guide in English or Spanish that provides information on public transportation, non-profit service providers and transportation resources for the region. The OMM can help you find the most accessible services and routes to get to your destination. 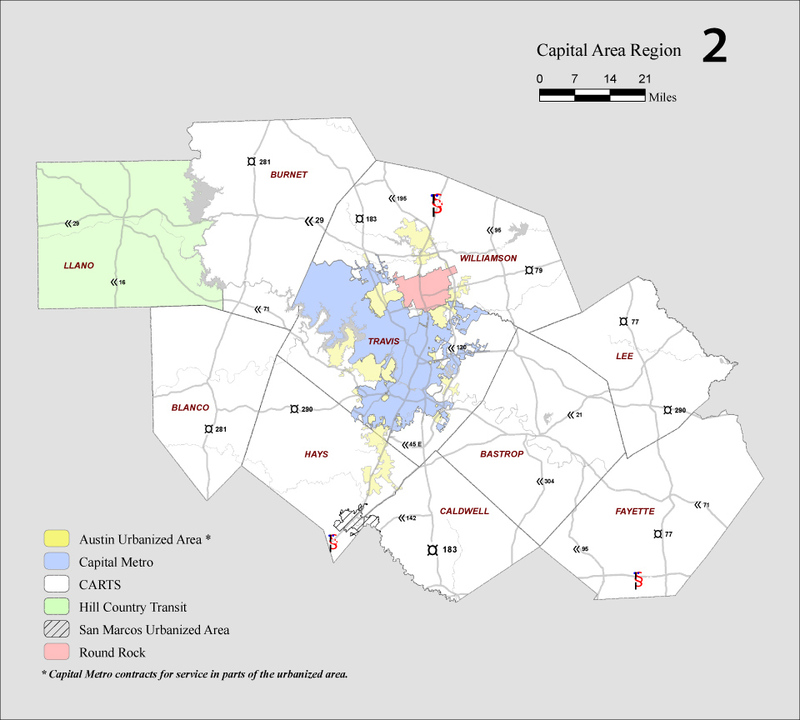 Through unique local partnerships, smart coordination of resources and careful planning, the OMM connects you to Austin and the surrounding communities of Bastrop, Blanco, Burnet, Caldwell, Fayette, Hays, Lee and Llano as well as Travis and Williamson counties. Use the OMM to get where you need to go.